Virtual TimeClock is a suite of software-based, time and attendance solutions. "A watch for employees that streamlines the payroll"
Have you ever missed the payment of overtime due to mishandling of information? It is not at all easy to maintain an exact control of the hours worked by employees in a company, Virtual TimeClock is an excellent employee clock that will help us in the controls of entry and exit, lunch, rest, vacations and licenses, the program generates reports Total automatic, also has security code per employee to avoid manipulation of information, and is an easy download program that can be operated by anyone. In order for the system to work, each user must register before accessing the workplace, if the system is found after accessing the workplace, there will be problems that lead to creating regulations for compliance with the working day. Virtual TimeClock is an excellent option for those who want to buy an employee watch for their business, but I recommend the Red Virtual TimeClock version, in which you can have an unlimited number of users and on different PCs, you can also anchor it to payroll programs, always maintains its easy operation, even for people who do not know much about computing. Of course there are, but I can not imagine an office or company without a staff clock, using Virtual TimeClock will bring much order and savings of work when making the payroll, with your automatic reports you will not have more missing information when calculating the extra hours and you can have more control in the fulfillment of the working day. I wish there was an app where I could access the time clock from anywhere. Ask wish I could have the same time clock in multiple locations. Thank you for taking the time to leave a review, Mallory! You can certainly access your time clock remotely on a macOS or Windows computer, I will follow up with an email letting you know more about that. Mobile applications are also a big priority for us, so thank you for being patient, we know many customers are excited for that feature. 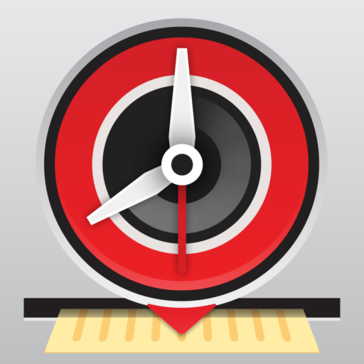 "TimeClock: an excellent tracking system"
I really like the ease of use. It's very simple and straightforward. It has a nice, clean interface and makes the clock in process simple and full-proof. There isn't much I dislike. It does take some figuring out to see how many hours you've worked but once you know where it is, it isn't a problem. It helps me easily track student workers' hours. It's also easy to fix their hours when they miss a clock in. "Works well for our employees to sign in." Great way to track time. Thank you for your review, Cindy! We appreciate the feedback, and we're glad Virtual TimeClock has been helpful for your staff. * We monitor all Virtual TimeClock reviews to prevent fraudulent reviews and keep review quality high. We do not post reviews by company employees or direct competitors. Validated reviews require the user to submit a screenshot of the product containing their user ID, in order to verify a user is an actual user of the product. Hi there! Are you looking to implement a solution like Virtual TimeClock?